Everyone is looking for great leaders. 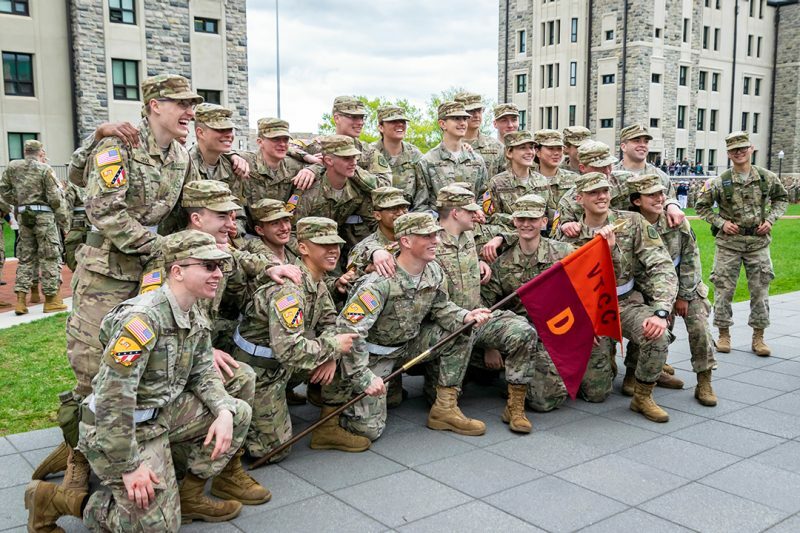 The Virginia Tech Corps of Cadets’ mission is to help nurture and create them. This is why exceptional men and women are drawn to the Corps in increasing numbers. A significant part of the university since its establishment in 1872, we have evolved into a world-class leader development program that understands that at the root of great leaders is great character. This involves more than just classroom work. This is a four-year commitment to strive 24/7 to develop practical, ethical leadership skills. Beyond our military tradition, our uniforms allow cadets to make a statement that they have committed to a course of study, a set of high standards, and a way of life not chosen by all. The Cadet Honor Code represents the minimum ethical standard to which all cadets are expected to adhere. Learn and practice the essential leader responsibilities of establishing a healthy ethical climate within a unit. Develop an understanding of the importance of integrity as an essential aspect of leadership. Foster a desire to maintain an honorable lifestyle in the spirit of the code. Achieve the level of commitment to honorable conduct necessary to prepare them for greater challenges to their integrity throughout a lifetime of service. Develop the character required of those who voluntarily take full responsibility for their decisions and actions. Be moral —ethical examples worthy of emulation by all students and faculty at Virginia Tech. Cadets continue to exemplify Ut Prosim as a way of life, practicing their dedication to service through over 12,000 hours of community service during the 2017-18 academic year.